Welcome to SchoolHealthNJ.org! We look forward to developing this site throughout the school year to meet your school health needs. The Whole School, Whole Community, Whole Child (WSCC) model is the driving force behind our approach to school health in New Jersey. 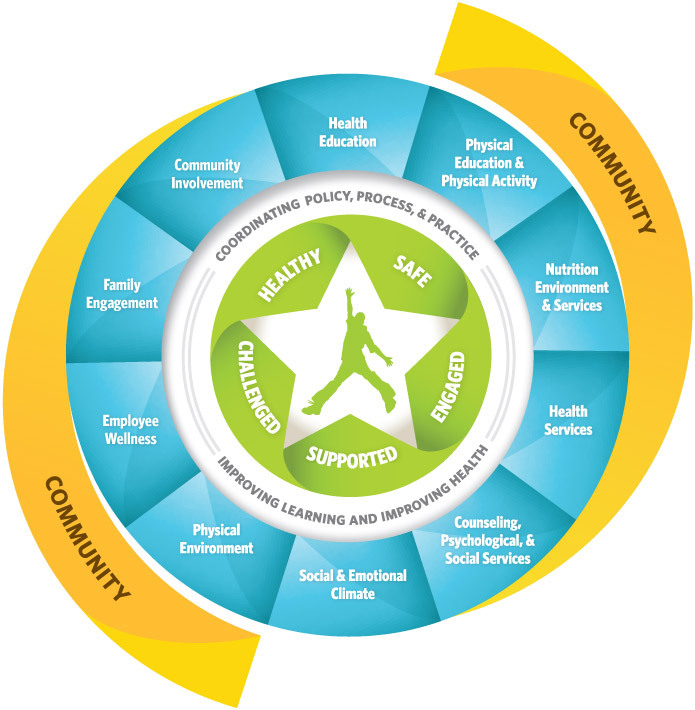 The WSCC model emphasizes that each child, in each school, in each of our communities deserves to be healthy, safe, engaged, supported and challenged. This site is a tool to share ideas and resources as we continue working together to improve learning and health in our New Jersey school communities. If you have any feedback please feel free to email us. For more information, visit WSCC. Underage Drinking: They Hear You.